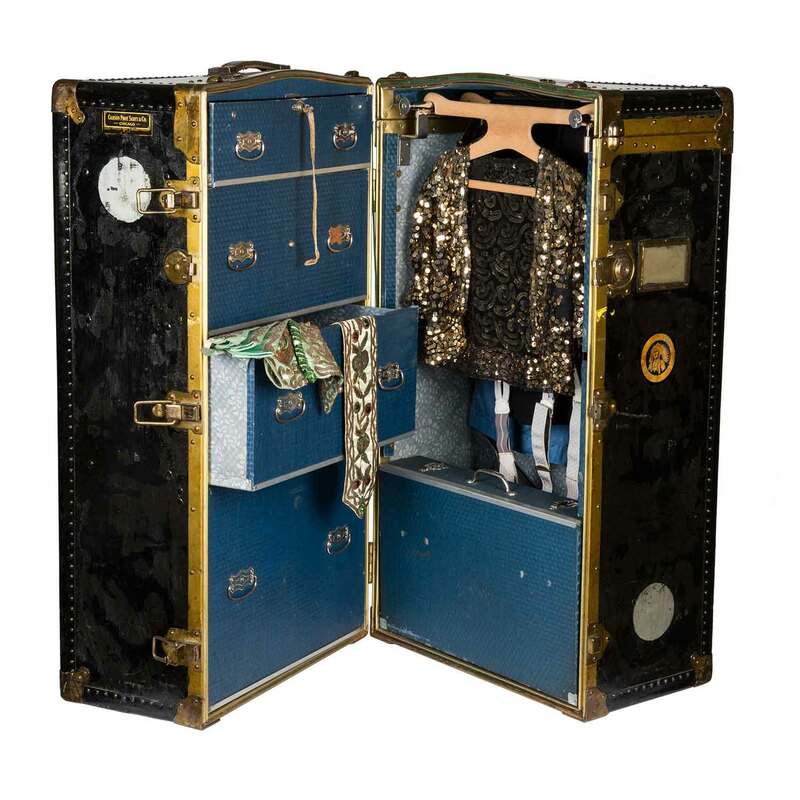 This traveling wardrobe belonged to Yiddish theater star Dina Halpern, and is a relic of a time when plays by Sholem Aleichem, S. Ansky, as well as Yiddish translations of Chekhov, Tolstoy, and Wilder were performed on Chicago’s old West Side. Dina Halpern was born in Warsaw, Poland in 1909. As a child, she performed as a dancer then joined the Warsaw Yiddish Art Theatre, headed by her great-aunt, Esther Rachel Kaminska. By the age of 21, Halpern had become an established star of the Eastern European Yiddish theatre scene, performing leading roles on stage and on film, most notably in The Dybbuk. In 1938, right before the outbreak of WWII, she made her American debut in New York’s Yiddish theater district on Second Avenue. While Halpern was in New York, Germany invaded Poland and she was unable to return home. Halpern was the only member of her family to escape Treblinka and death. During the next decade, Halpern toured throughout North and South America, England, and France. In Israel, she frequently performed in front of Holocaust survivors who had seen her perform in Poland. In 1948, Halpern married Danny Newman and moved to Chicago where she became the artistic director of the Chicago Yiddish Theatre Association. As an actress in demand, Dina Halpern spent much of her life traveling from venue to venue. Often she was on tour for months at a time and, like other performers of her time, she “lived” out of her trunk. Dina Halpern’s trunk, created by Carson Pirie Scott & Company, contains a number of her costumes and playbills. Poland, 1937 In this famous Yiddish production of S. Ansky’s "The Dybbuk," Dina Halpern plays the role of Aunt Freda. She is seen here entering the synagogue and praying fervently to God to save her young niece from possession by the spirit of a deceased lover. 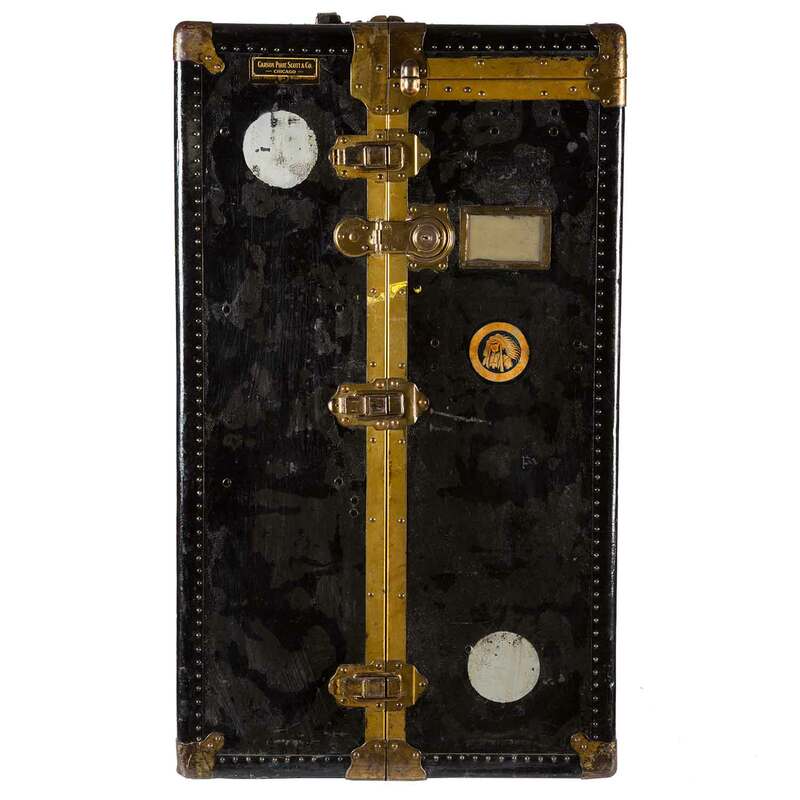 Artist: Carson, Pirie, Scott & Co.
Dimensions: 42 1/2 x 24 1/2 x 23 in.